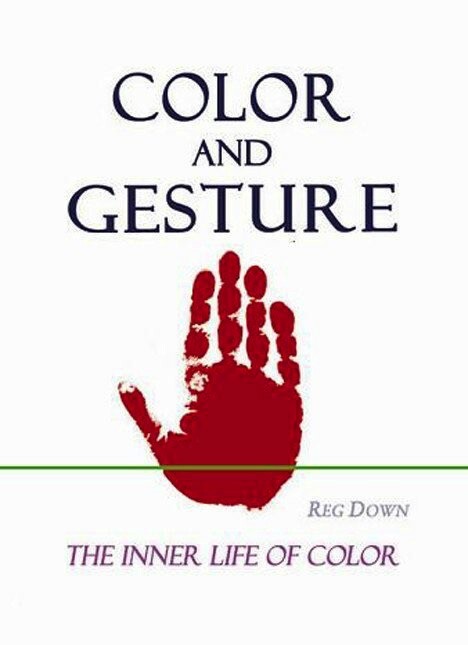 Author: Reg Down Color and Gesture explores the inner life of color in a way that only eurythmy and the initiation science of Rudolf Steiner make possible. What appears is a world of incredible richness, depth and beauty in the most common, unlikely and unexpected of places—gesture. Gesture reveals the human soul, and the fabric of the soul is color; as a result, we find that the souls’ infinite expressiveness, with all its goodness, pathos, waywardness and humor, is intimately woven through with color experiences. 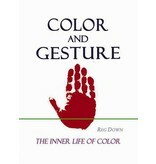 When we approach gesture via color, we discover whole gesture families, with, at times, the most unforeseen of bedfellows. We gain new insights into soul gestures, acting gestures, animal, planetary and zodiac gestures. The underlying eurythmic gestures of speech and music are also explored, and we learn to experience how the color chords underlying gesture are themselves a structured, musically-ordered language. And when we approach color via gesture, we find inner laws, relationships and dynamics which allow us to gain, via artistic activity, not only a deeper understanding of color as a whole, but also a conscious foothold in the astral and etheric worlds. Contents include: 51 Chapters plus Overview and Indexes, 250+ Figures and 170+ Haloes. Subjects covered: Color Dynamics, Rudolf Steiner’s Eurythmy Figures, Soul Gestures, Color Figures, Acting Figures, Animal Gestures, Speech and Music Figures, Eurythmy Exercises, Elements and Ethers, etc. Soft cover, 552 pages, letter size format.